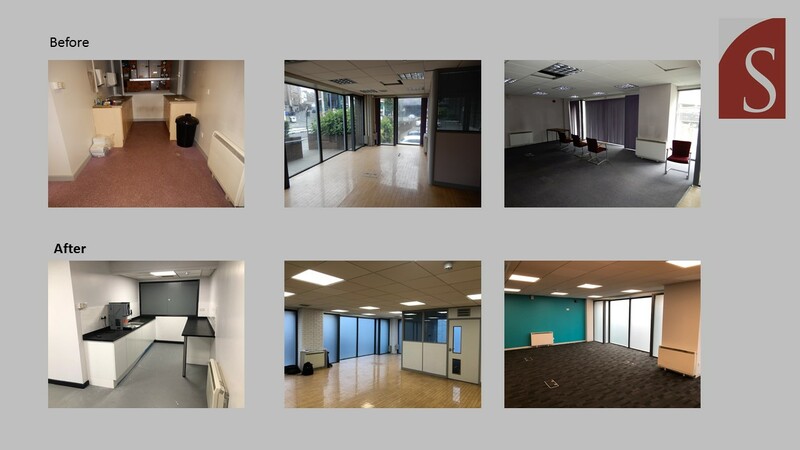 SPC were instructed to act as Contract Administrators and Principle Designers to deliver an internal refurbishment scheme for a new office user with a reduced and limited budget. The scheme was delivered on time and under budget and we were still able to deliver all headline requirements despite the financial confines. Amazing the difference you can achieve even on a limited budget.